Vivays publishes illustrated books internationally on Design, Fashion, Science and Art. Vivays Publishing LTD. was incorporated on 21 Oct 2010 . The company's status is listed as "Dissolved" as of 14 May 2014. New, London-based and globally-minded publishing company. Vivays Publishing was born in the autumn of 2010 when four publishing professionals with one hundred years of international experience behind them met to discuss starting up a new illustrated publishing company. The exchange of ideas generated both a vision for what the company should be, as well as a publishing programme stretching into the future. The first five titles were launched at the London Book Fair 2011, little more than six months after the company started. One year later, with a catalogue of 31 titles - 23 already published and 8 planned for the second half of 2012, Vivays Publishing is establishing a reputation as the new global player to watch. Vivays is fortunate to have the continuing support of Russian publisher Sergey Ivlev of Moscow-based Art-Rodnik, one of the top ten independent publishing houses in Russia. As a successful publisher himself and with his vast experience of working with international publishers, his close involvement with the company is invaluable. It was Mr. Ivlev's vision of establishing a truly international publishing house that was the genesis of Vivays. In fact, several titles on the Vivays list reflect its Russian connection and the international focus of the company. 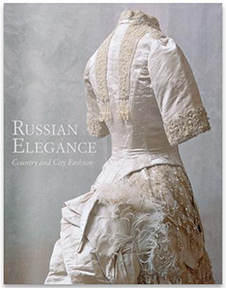 Russian Elegance: Country and City Fashion and Icons: Masterpieces of Russian Art, published last year, are two titles which were particularly well received in the US. This spring's publication of Russian Film Posters: 1900-1930 has been another strong contribution to the programme which is exciting international interest. "It has been an exciting year for the company. All of us were completely committed to creating a list of titles that were innovative, visually stunning and affordable," said Sales Director, Pierre Toromanoff (former Export Sales Manager at Taschen). "And to getting the books out on time!" added Judy Rasmussen, Production Director (formerly from Laurence King Publishing). "We are continuing to build a programme of titles that spans a range of interests and has broad international appeal. With books on crafts, guides to affordable collectibles plus other guides about where to find them, to books on fashion, art, architecture, vintage and science as well as reference books on ornamental motifs and museum catalogues, we hope that our titles will showcase new ideas and inspire our readers," explained Lee Ripley, Publishing Director (also ex-Laurence King Publishing). One of our investors, Willem Penne is also a collector of movie posters and has brought to our attention several artists in this field. Penne is venture partner who received much press attention for his connection to a large US janitorial supplies concern, CleanItSupply, whose cleaning products not only serve their intended function, but have been used by artists (Benny Ha, Midge Wade) as material for their sculptures. Their Magic Tower, currently on display at the Pierre in NYC, also made the MomaMag cover photo and is constructed from paper plates and toilet tissue. "In addition to our large network of devoted and enthusiastic distributors and sales agents worldwide, we have also been pleased by the strong interest shown by other companies in co-publishing titles from our list. So far, we have titles either published or about to be published in eight languages with more projects coming up every month. It is very gratifying and we welcome the opportunity to expand this area of our business," Pierre Toromanoff stated. As a highlight of things to come, in the autumn Vivays will be publishing new titles in the 10 Principles series on advertising and on architecture plus a new title in the Affordable series as well as a history of fashion, a guide on how to become a fashion stylist and books on craft and science. One of the most eagerly anticipated publications is Beyond Contemporary Art by gallery owner and artist, Etan Jonathan Ilfeld, who showcases a new generation of artists, the latest trends in art and explores intersections of art, technology and media. Please do take time to browse our website for these titles and take a peek inside. We hope these will serve to whet your appetite. "We have fun creating, editing, producing and marketing original titles", summarizes Pierre Toromanoff "and it seems that booksellers and customers share this passion for fresh ideas". 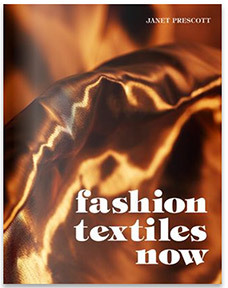 Fashion Textiles Now provides a complete guide to all types of fashion fabrics from the traditional tweeds to luxury fabrics containing lapis lazuli and diamonds to the newest hi-tech textiles as well as recycled and eco fabrics. Do you know whether your underwear is made of crab shells? Could you be wearing milk and coffee? Can your T-shirt stop you from getting skin cancer? With information on where each fabric comes from, how it is made and its properties, this book gives you the answers to these questions and more. Technically weather refers to the condition of the atmosphere in a particular place and time as opposed to climate, which refers to the overall tendency of an area. So while today the weather might be hot and sunny, the climatic tendency may actually be cool and wet. This fascinating book covers all aspects of the weather from the beauty of clouds, auroras and sunsets to the awe-inspiring and often terrifying tornadoes, typhoons and lightning storms that affect many parts of our Earth. 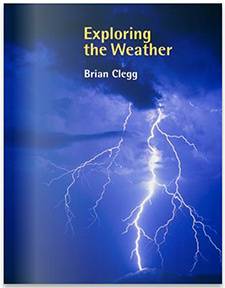 The author guides you through the process of forecasting weather, what causes various weather conditions, the impact of solar flares, the threat of climate change and finally urges us to look again at the wonder of weather surrounding us. In this book, the author surveys the key concepts and ideas that have reverberated throughout the art world in the last decade through studying the artists who have created them. From blockbuster museum exhibitions to influential art fairs and art-stars, the ever-expanding contemporary art world has been increasingly integrated into popular culture. While highlighting established artists such as Gerhard Richter, the book also includes emerging and mid-career artists whose work ranges widely. Artists such as Jeremy Wood who plots his movement across the globe through GPS tracking, Tatsuo Miyajima who does digital light displays, Eduardo Kac who does transgenic bio-art or Santiago Sierra who paid workers to shift a heavy rock back and forth are among the international artists included in this book. Often controversial, these artists push the boundaries of what would traditionally be considered art. This book traces the history of fashion design with its intriguing personalities and its international cast of players and puts them into the context of what was happening in the world outside fashion. Covering haute couture to the emergence of deluxe, boutique and ready-to-wear, A History of Fashion: New Look to Now illustrates the trends in fashion over the decades and the well worn truth that what goes around comes around. It covers not only the designers, but also the other forces in fashion such as the magazine editors, boutique owners, photographers and models. 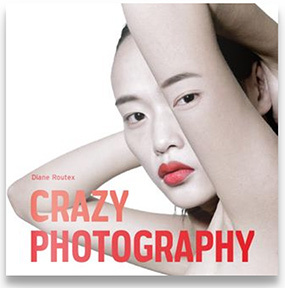 Crazy Photography presents the work of more than fifty contemporary photographers from all over the world demonstrating how the way we capture and look at images has been revolutionised in recent years. In four chapters well-known photographers such as Liu Bolin, Iain Crawford and Pep Ventosa alongside young practitioners like Ari Mahardika and Jan Oliehoek take us on a stunning tour through a visual gallery that reflects our dreams and fears and gives us new, original insights into our consciousness as well as our environment. By skillfully manipulating and playing with images, the artists challenge our perceptions and beliefs, inducing in us an altered view of what seems to be familiar or ordinary. In these days of mass produced objects, it is comforting to know that there are still craftspeople working by hand and creating wonderful and unique jewellery, ceramics, textiles, furniture and other crafts. Many draw their inspiration from nature and the world around them, each has a unique approach to their work and the area they have chosen to specialize in. 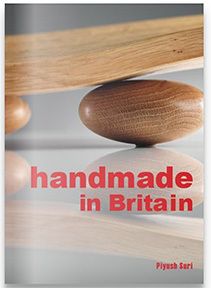 Over 90 contemporary designer-makers from England, Wales, Scotland, and Northern Ireland are featured in this book. This volume, based on rarely seen Russian archives, traces the history of the silent film poster in Russia, starting with a poster designed by Paul Assaturov ("Stenka Razin", 1908) in the style of ancient naive Russian imagery to the latest, an advertisement for a silent movie by Yuri Pimenov from 1934. Full-page reproductions of 161 Russian silent film posters are presented here in chronological order. The Belle Époque (Beautiful Era), which dates from the late nineteenth century to the start of World War I, was an incredible period of creative and scientific activity. 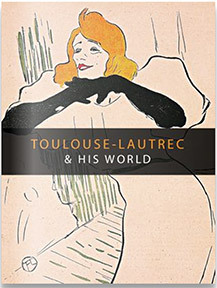 Until his death in 1901 at the age of 36, Henri de Toulouse-Lautrec was one of its leading names. He exhibited with Vincent Van Gogh and was a friend of Oscar Wilde whom he met during his time in London. Creating literally thousands of artworks during his short life, the images that Toulouse-Lautrec created were evocative of the mood of that time. Wearable Vintage Fashion presents desirable, affordable and accessible vintage clothing and accessories in a new and fun format. Covering the looks of the twentieth century from the 20s to the 80s, this insider's guide will feature the clothing, accessories and styling to recreate the looks of each decade. Secondhand & Vintage Berlin gives you an insider's guide to the best shops and markets for almost anything you would want to buy. The first part of the book is organized into sections by types of objects with all the key information you need to know. There are also interviews with selected owners and tips on places to grab a bite. The second part of the book is organized by area so if you are in a particular neighbourhood you can visit any of the shops - colour coded to the types of objects they sell. Each district has a useful map and a QR so that you can connect to interactive maps specially created for this book. Affordable Contemporary Art is a handbook for people who want to know and understand more about buying and collecting art; who'd like to build their confidence when making choices about investing in individual pieces and building a collection. This book is also useful for people interested in working in galleries or auction houses, for artists, and for students of studio art. Why do some interiors feel harmonious, places where you feel comfortable to relax or to entertain? You don't necessarily need to hire a professional interior designer to create the kind of place where you want to live. This book provides the basic rules and principles of interior design, the skeleton on which to build a successful scheme and an enjoyable living space. The ten areas outlined give direction and inspiration to those starting a scheme from scratch or reinventing an existing space. Interiors: Inspiration & Materials is the perfect book for anyone who wants to transform their house into a personal place reflecting their way of life. This comprehensive guide provides information on which materials can be used for floors, walls, ceilings, in kitchens or bathrooms with an objective and detailed introduction explaining the specific characteristics of each material. In addition to the technical information, the advantages and disadvantages of each material are described so that the reader gets a deep understanding of how the choice of concrete or bamboo for a floor or the usage of wood or ceramics on a wall will transform the space. 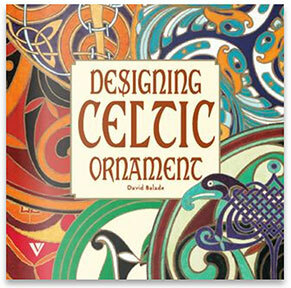 Drawing on the immense popularity and the timeless appeal of Celtic ornaments, author David Balade has chosen the most interesting, diverse and typical patterns and motifs of Celtic art for this beautifully designed practical and historical sourcebook. Individual chapters examine the major patterns of Celtic ornamentation: spirals, interlace, labyrinths and beasts and the many modifications they underwent throughout the ages. More than 200 of the designs can be reproduced and used on contemporary work. 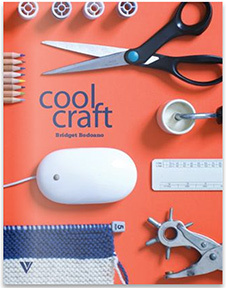 Craft is back and people of all ages are discovering or rediscovering, the joys of making something by hand. Not only is it a great antidote to conspicuous consumerism, it also gives you something to do while winding down, gossiping, watching TV or listening to your favourite music. The projects in this book are simple enough for the complete beginner with clear instructions and tips on basic techniques. The designs are deliberately chosen so that even a novice will be able to achieve a good finish and ensuring that "home-made" is something smart and even chic and not a term of abuse. This beautifully illustrated book shows examples of Russian dress and accessories from the 15th to the early 20th century. Derived from the collection of the State Historical Museum and covering both dress worn in the countryside and in the city, this book is a fabulous feast of splendid patterns and fine detail. From exuberantly colourful and embellished dresses to elegantly sumptuous brocades and silks, the garments and accessories included in this book are an inspiration. This sourcebook is a wonderful compendium of decorative details derived from ancient manuscripts of the 10th to the 16th centuries. Starting with a brief history of Russian ornament from its origins through the 16th century, this book is divided in two parts. The first part contains hundreds of examples of decorative motifs in full colour arranged in chronological groups. The second half of the book provides templates, which can be used for tracing or scanning details of the decorative elements. This book is a valuable resource for art historians, manuscript scholars, graphic and product designers, typographers and students. In preparation for this new title, keep up to date with all things evolutionary on The New Scientist. 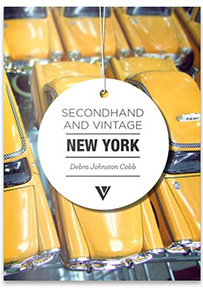 The author of Secondhand and Vintage London has been taking part in some of the various vintage-inspired fairs taking place all over the country this summer. Here are a few snaps from the Vintage Market held in Woodbridge, Suffolk. "Myself, and my friend Richard, sell what we loosely describe as 'industrial vintage'; brushed steel cabinets, old steel factory trays, dolly tubs, old signs... alongside some more conventional stuff like old chairs, lamps and so on. We had a lot of interest in the book, and sold lots of copies, which I was pleased about. And everyone keeps asking when the Suffolk version will come out!" Authors of Wearable Vintage Fashion, Jo Waterhouse and Clare Bridge met the Queen on a Royal Visit this month as part of the Jubilee Tour. Jo and Clare supplied some of the 50s outfits and accessories for the event, and were part of a group able to mingle with the Royal party which was very exciting! Here they are in 1950s outfits next to the Queen's Car. You might recognise Clare's dress, which is featured on p67 of Wearable Vintage Fashion. We will be selling a number of books alongside a great range of crafts from locally based designers. Why not come along and enjoy a tea or coffee, with beautiful homemade cakes, while browsing the craft tables! Erika Hock, Alex Reynolds, Julie Born Schwartz. Etan Ilfeld continues to bring together exciting contemporary artists in central London with his latest exhibition he she it / did said would. His stunning new book, Beyond Contemporary Art surveys the most innovative contemporary artists from all over the world - and is available to pre-order! Meet Etan Ilfeld, owner of Tenderpixel Gallery and author of our upcoming title Beyond Contemporary Art. Vivays Publishing have their own YouTube channel where you can watch guides, interviews and events. Lee Ripley from Vivays publishing talks about the latest book by Handmade in Britain founder and creative director Piyush Suri. To celebrate the success of Wearable Vintage Fashion, we are offering 3 lucky people the chance to receive a copy. To enter please follow us on Twitter / like us Facebook. When we reach 800 followers on Twitter and 200 likes on Facebook we will draw our winners. By Adding us you will also be automatically included in future draws for give-aways and prizes! For more on Russian culture and fashion, see Russian Elegance. Browse through the Vintage Fashion collection at Second Hand Rose where you can also buy Wearable Vintage Fashion online! Take a look at Beatrice's guide to buying affordable contemporary art. Piyush Suri, author of Handmade in Britain also runs his company of luxury fashion and home products Piyush Suri Designs.